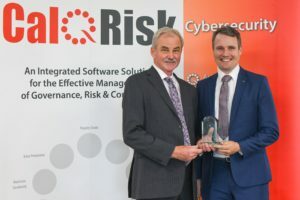 A Governance, Risk Management and Compliance (GRC) software solution developed in Co. Clare, has secured a large contract with Cork County Council. Cork County Council issued a Request for Tender (RFT) earlier in the year looking for an Objective and Risk Management solution to assist in achieving its Annual Service Delivery Plan (ASDP). Having successfully completed the public procurement process, LinkResQ, the company behind the CalQRisk software, signed a 4 year contract with the Council. Cork County Council are the first local authority to “roll-out” CalQRisk across all of its directorates. 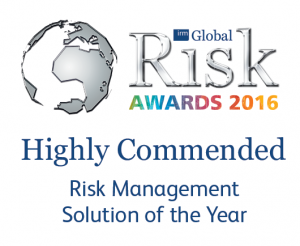 The company has also recently won an award for “Excellence in Enterprise Risk Management” from the Public Sector Magazine. “Being recognised as a leader in such a competitive sector is a testament to the hard work our teams in Shannon and London put in” said CalQRisk MD, Paul O’Brien. 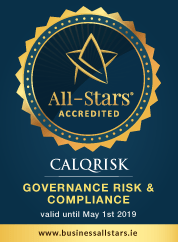 CalQRisk was launched in 2010 by Gerard Joyce and Paul O’Brien, and since then has grown to become an innovative player in the industry with an established client base in the Aviation, Financial Services, Education and Asset Management sectors. With Gerard being involved in the creation of international risk management standards such as the ISO 31000, the company has recently been working with more and more clients in the public sector – advising them on topics such as risk management structures and methodology, cybersecurity, the General Data Protection Regulation (GDPR) and much more while many organisations have on-boarded their unique software.